BACK in 1986, housewife Corazon C. Aquino, and widow of the late senator Benigno "Ninoy" Aquino, called for a boycott of crony companies and media like Bulletin Today to show the public's displeasure w/ the Marcos administration. 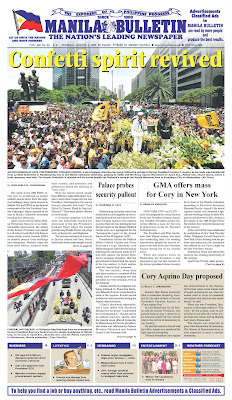 Several advertisers, heeding, Tita Cory's call, even pulled out their ads from Bulletin. 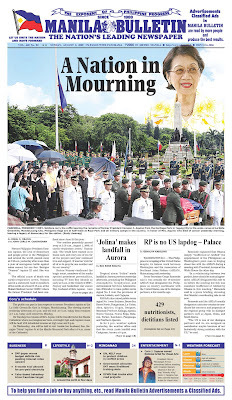 This was the front page of Manila Bulletin on Aug. 2, 2009, the day after the former Philippine president died.